The center of my Ladder to the Stars is done. Well, I need to trim it. The picture here is the result of a bit of photo cropping magic. I’ll follow my original design, shrinking the borders proportionally for the smaller 6″ blocks. 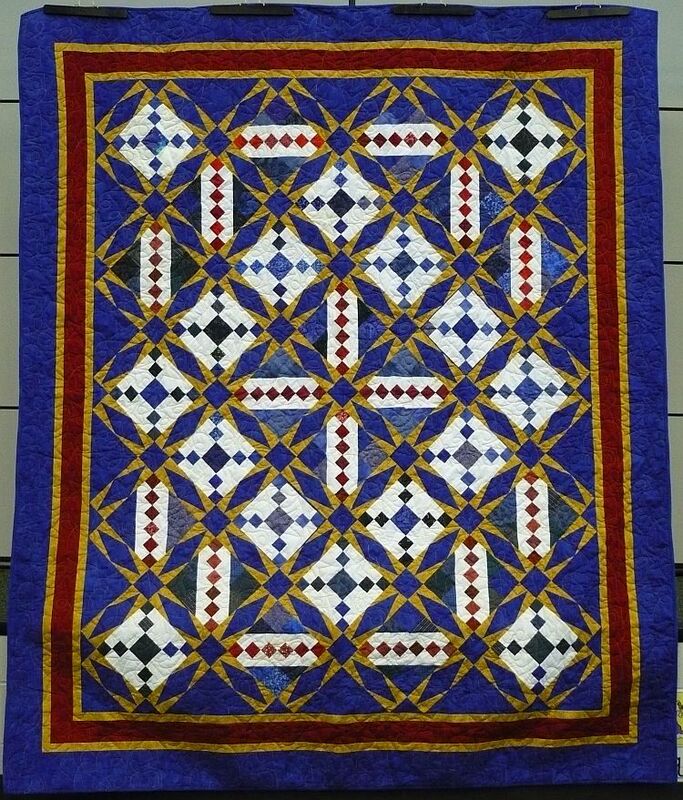 The original quilt was raffled off for charity by the quilt club. At the time, the club had only 12 or 13 members with varying skill levels. Everyone pieced at least one block pulling fabric from their stash. The border and sashing fabrics were purchased from the LQS where we met. The sashings were pieced by several ladies, then I assembled it before it was sent out to be quilted.